A huge thanks is required for Duncan Kershaw, who was recently clearing out and found a bunch of design docs and odds and ends. Rather than dump them, he very kindly asked us if we’d be up for scanning and preserving them for the site – which of course we dutifully obliged! 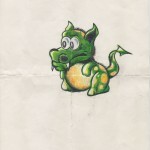 As well as an interesting design document for an unreleased Football game for Zeppelin (which you can read more about here), there is an early design document for Crystal Kingdom Dizzy. Synergy produced the Dizzy document. 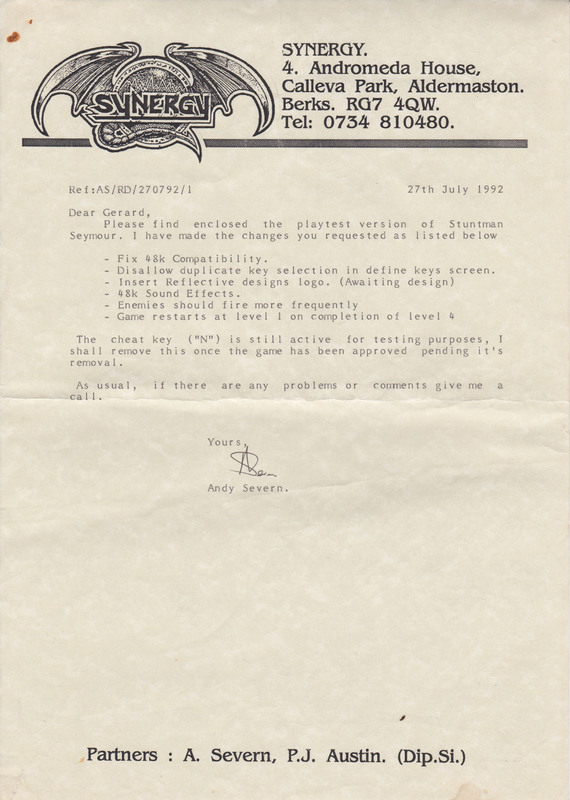 Additionally there is an early concept drawing of DJ Puff by Jonathan Temples (who used to be Jonathan Smyth), a letter from Synergy regarding development work on Stuntman Seymour and a contract for a C64 proprietary assembler written by Ashley Hogg- which was used a fair amount by Ash for doing audio drivers/music for various games, and ended up evolving into a 65816 assembler that was used at Codemasters for SNES work. See comments below directly from Ash about what it eventually turned into. We hope you enjoy taking a look! Would I be right in assuming that the unnamed football game become First Division Manager for Codies in 93? Hi Vince, not quite – the design was from Zeppelin themselves and not Reflective. 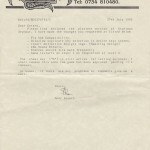 So if it turned into any game, it may have been Graeme Souness Soccer or it was scrapped. If you are indeed interested, by this point that C64 assembler had been used a fair amount by myself for doing audio drivers/music for various games, and ended up evolving into a 65816 assembler that I used at Codemasters for SNES work. I also had a sibling Z80 assembler which I used for Megadrive audio work at Codies. Both assemblers were also integrated into an editor I wrote on Amiga called Baby Amy. Thanks Ash, you beat me to just sending you a link 🙂 That is great to hear and thanks for confirming! I’ll quickly update the post. If anything similiar crops up in future, i’ll let you know. Also if you want me to put you in touch with Duncan, send me a quick email.